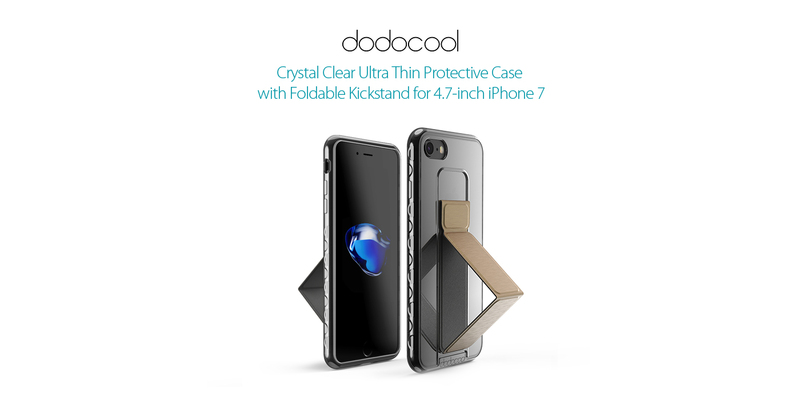 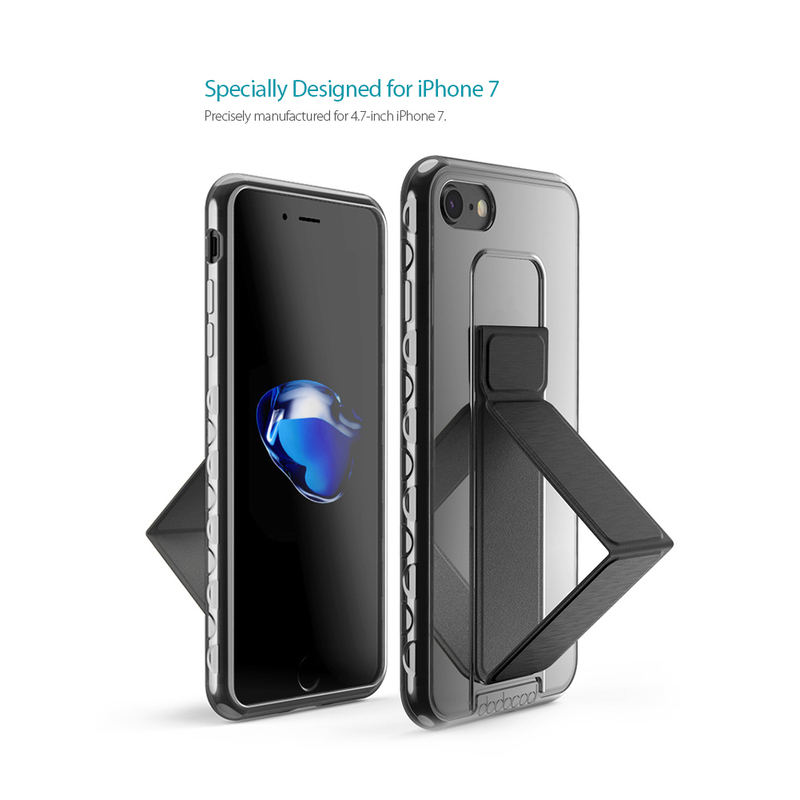 dodocool Clear Case with Foldable Kickstand for 4.7-inch iPhone 7 hugs your iPhone snugly while providing overall protection and hands-free viewing functions. 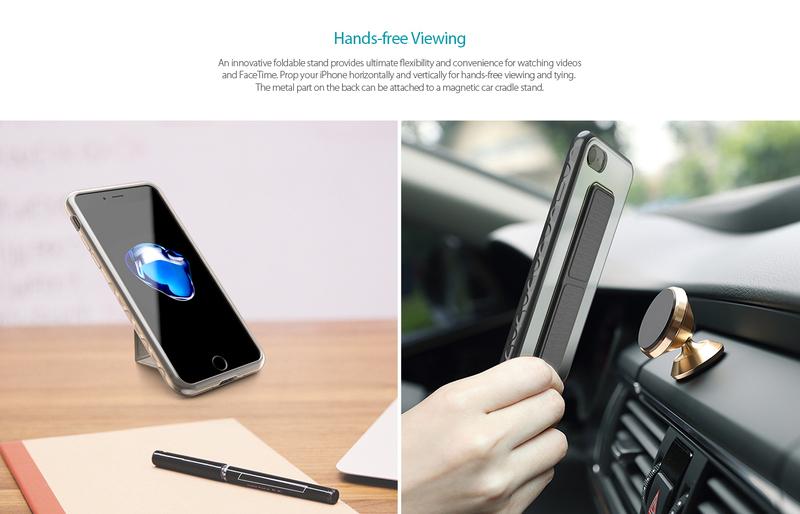 Full access to all ports and function buttons ensures that you can use your iPhone just as it was intended. 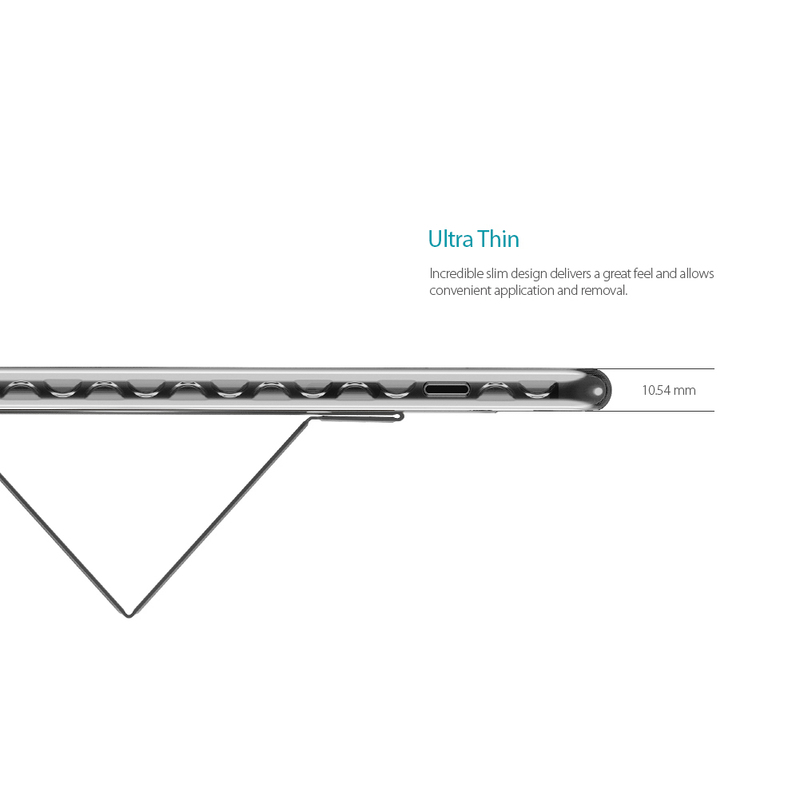 Crystal clear case with ultra slim design matches your iPhone perfectly. Precisely manufactured for 4.7-inch iPhone 7. 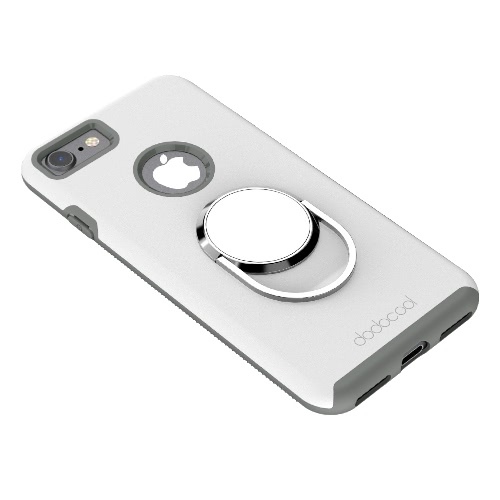 Fit securely over volume buttons and the Sleep/Wake button. 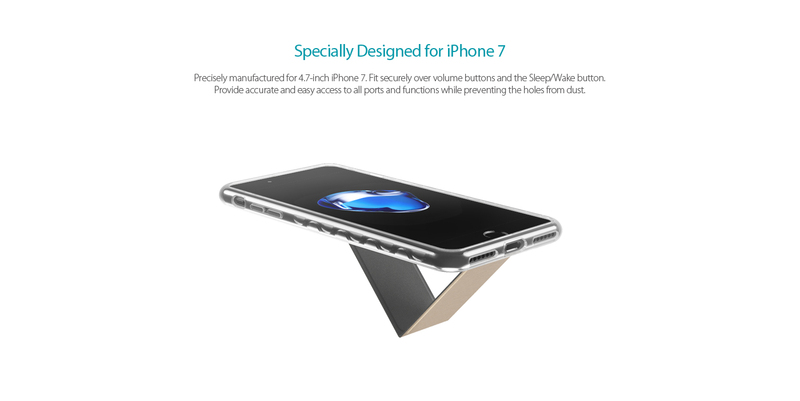 Provide accurate and easy access to all ports and functions while preventing the holes from dust. 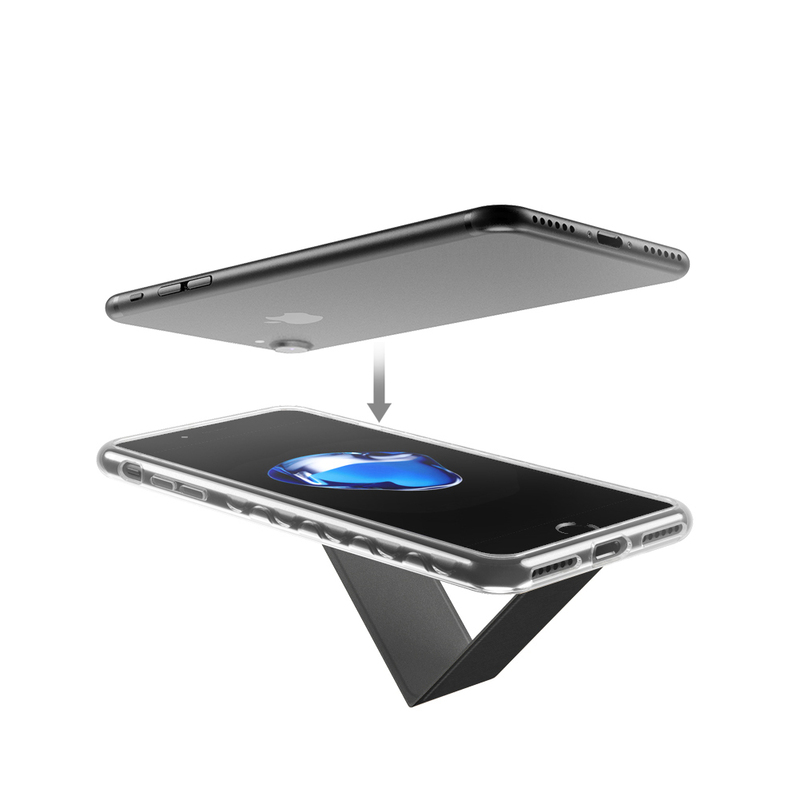 An innovative foldable stand provides ultimate flexibility and convenience for watching videos and FaceTime. 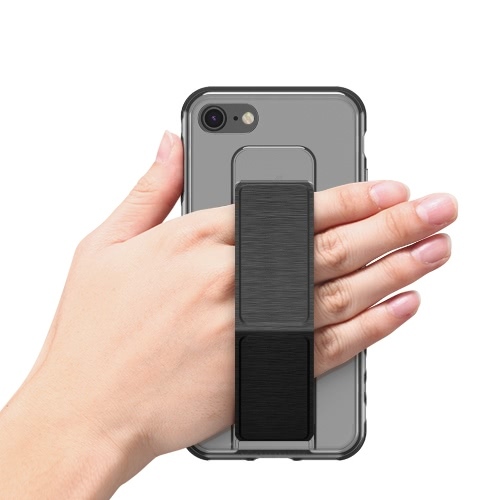 Prop your iPhone horizontally and vertically for hands-free viewing and tying. 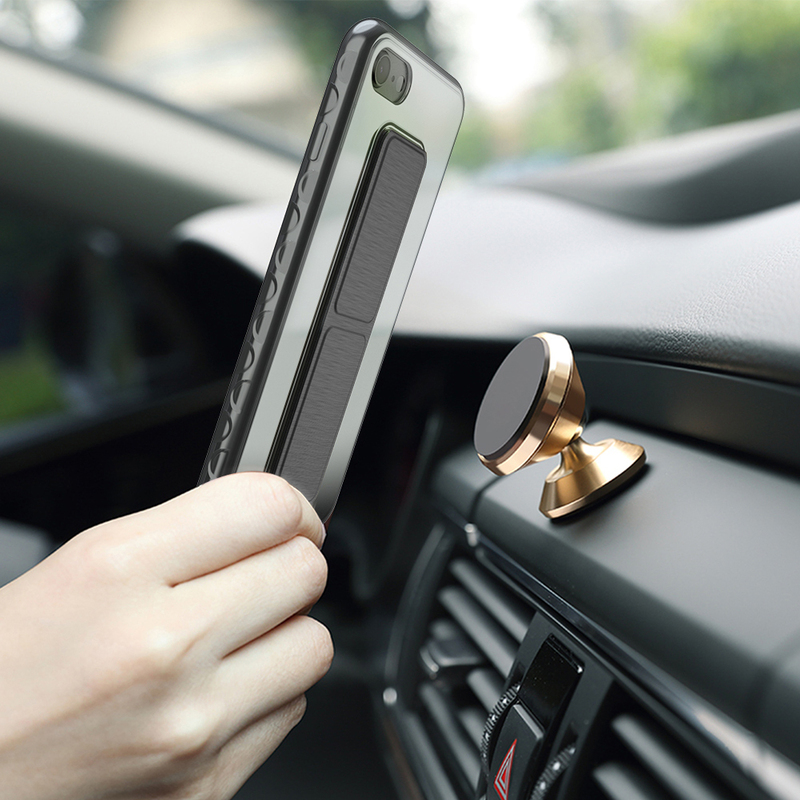 The metal part on the back can be attached to the magnetic car cradle stand. 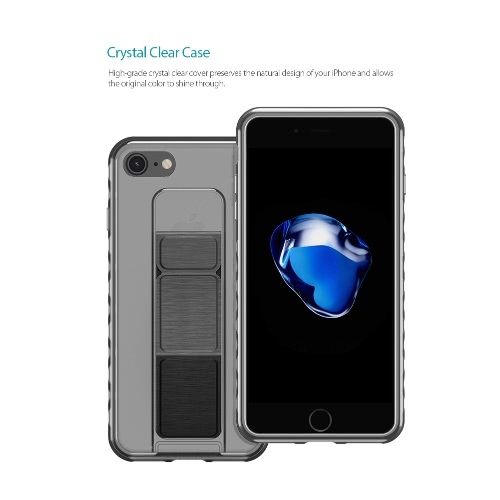 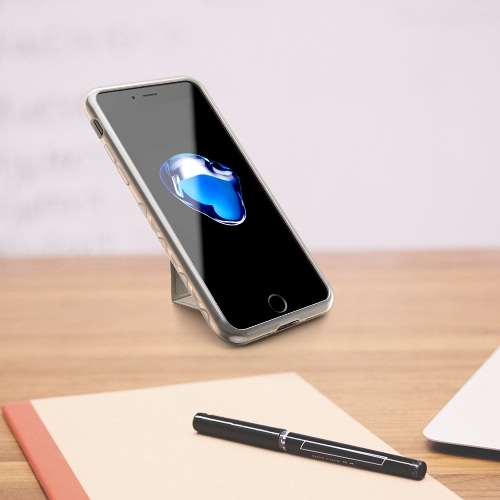 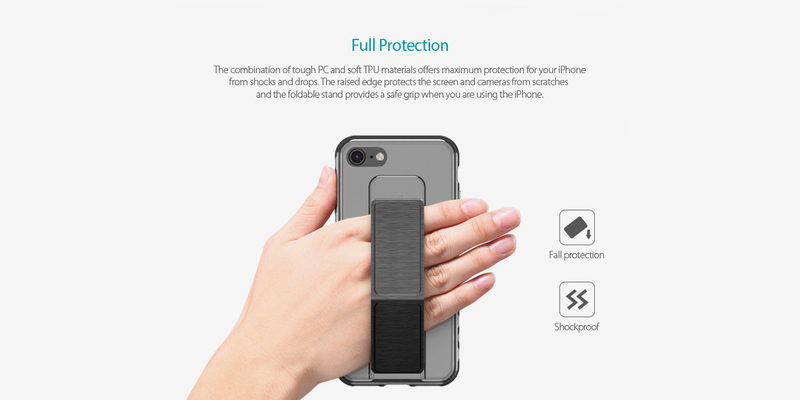 The combination of tough PC and soft TPU materials offers maximum protection for your iPhone from shocks and drops. 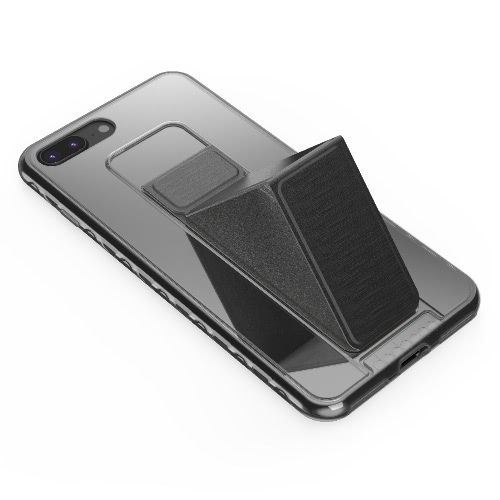 The raised edge protects the screen and cameras from scratches and the foldable stand provides a safe grip when you are using the iPhone. 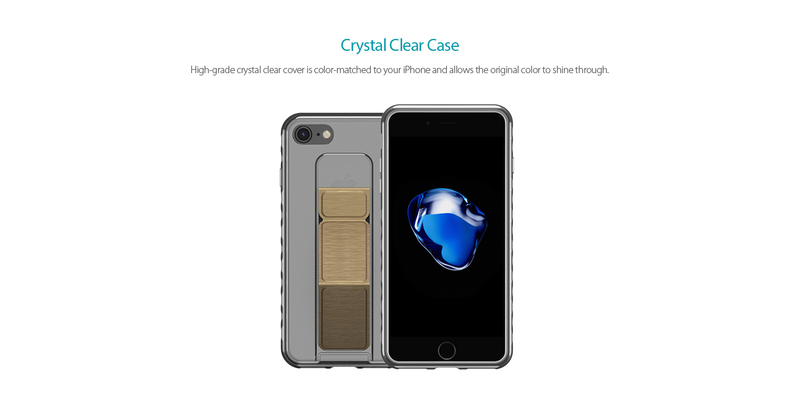 High-grade crystal clear cover is color-matched to your iPhone and allows the original color to shine through. 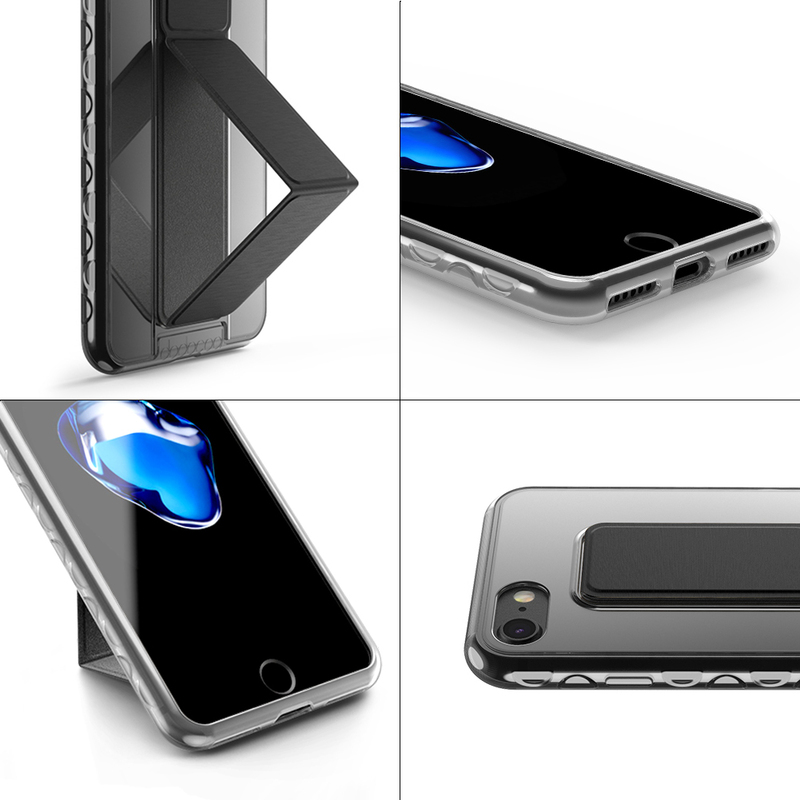 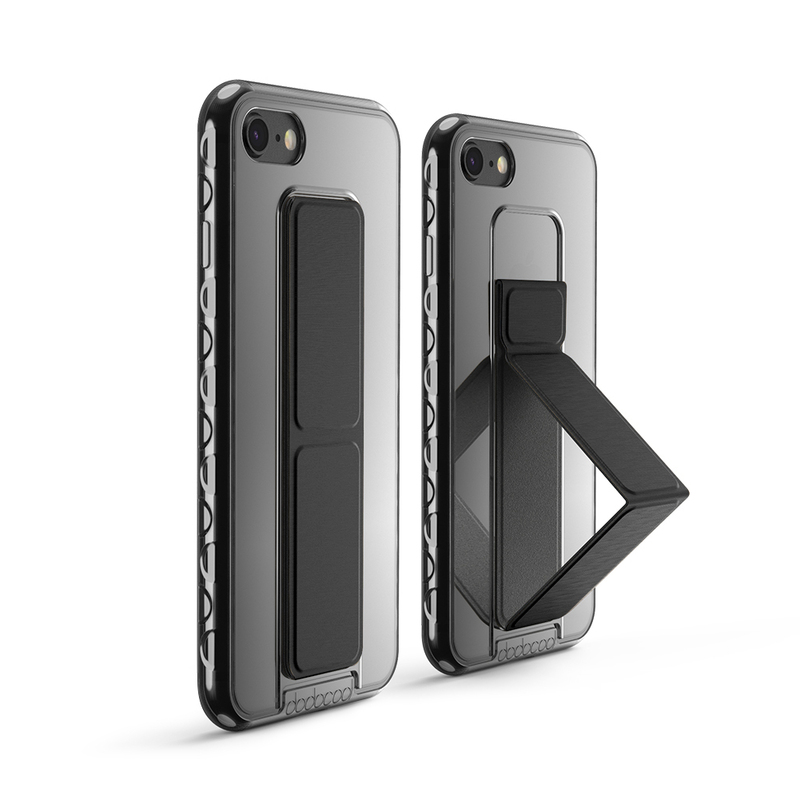 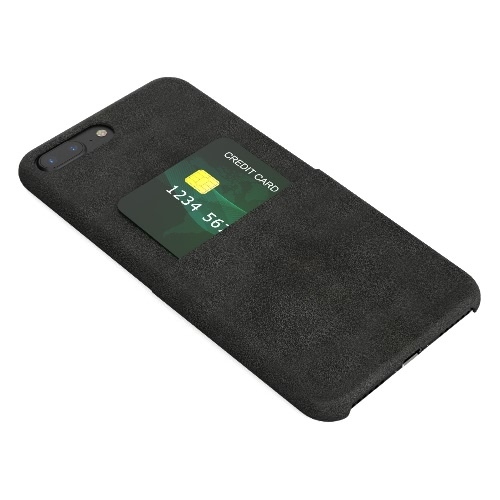 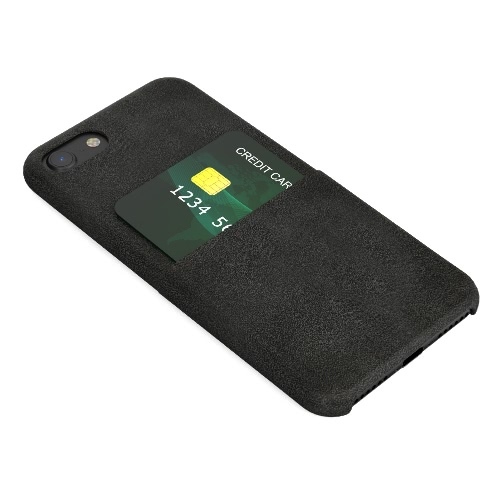 Encase the corners and back of your iPhone snugly to provide a secure fit. 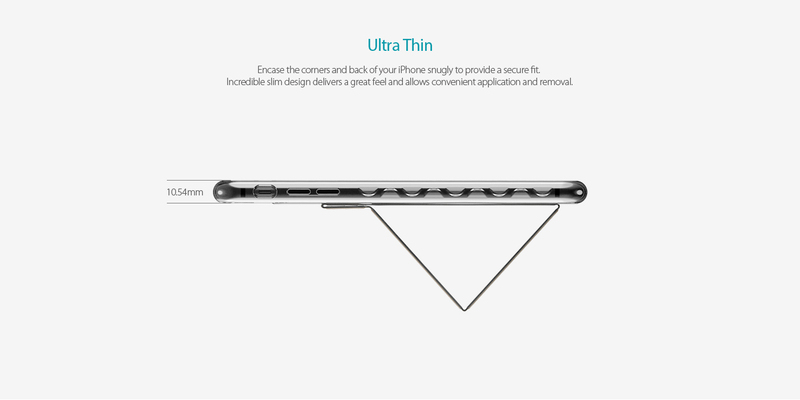 Incredible slim design delivers a great feel and allows convenient application and removal.